Malaysia's fastest growing comedy show Laugh Die You is back once again featuring a host of comedy kings to tickle your funny bone. With its' theme, Road to Putrajaya, the series takes a quirky approach on political satire and all things Malaysian. Hosted by the one and only GURMIT SINGH - taking on the persona of HERO SINGH, the flamboyant, singing chief of security for the show promises fun and games all night through. Gurmit Singh, widely known as his alter-ego Phua Chu Kang celebrates 20 years of pioneering the comedy industry both locally and internationally. Witness legendary comedian, INDI NADARAJAH of Comedy Court fame, take on sociopolitical satire – Malaysian style. With over a decade of comedy experience up his sleeve, audience will love his no holds barred personality on stage. KAVIN JAY, one of Malaysia’s most sought-after comics, is a rapid-fire grumpy joke telling machine. He may be grouchy but does it with such panache, you can’t help but laugh. He is an integral part of the comedy revolution, making headlines here and abroad. 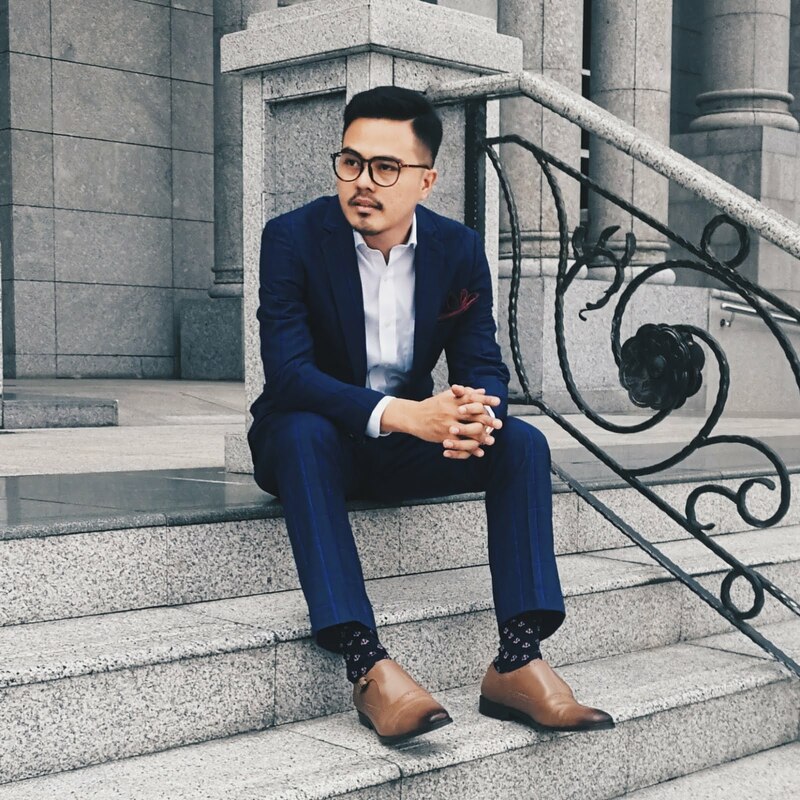 Filling the quota is SULAIMAN AZMIL, lawyer by day and stand-up comedian by night, saving the nation with his trials and travails as a tax-paying Bumiputera. 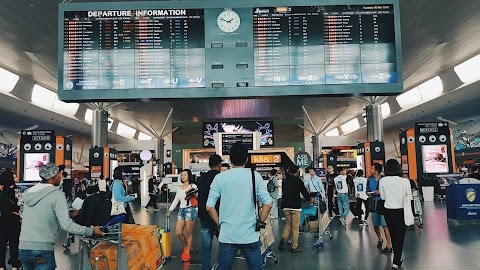 He has performed across Kuala Lumpur, Petaling Jaya and Penang till he found himself in Hanoi and Singapore performing his stories and jokes for all to hear and chuckle about. Set to return on stage – the band HYDRA, rocks up the pre and post-event entertainment to keep the audience on their feet during the show. Laugh Die You - The Road to Putrajaya ​will be held on the 5th of October 2017 at the HGH Convention Centre, Sentul at 7.30pm. Tickets to the comedy night can be purchased via TicketPro. Astro subscribers will also enjoy a 30% discount on purchased tickets. 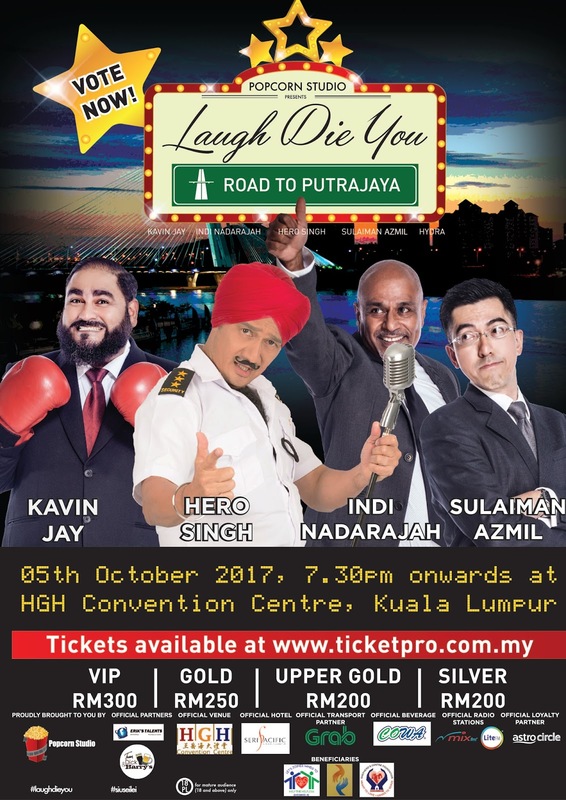 SOLD OUT SHOWS Laugh Die You franchise had its 1st show in 2015 and has entertained more than 36,000 pax throughout Kuala Lumpur, Genting Highlands, Penang and Singapore; making it one of the most successful, fastest rising comedy shows in Malaysia. Owing the success to our talented local and abroad comedians such as Harith Iskander, Douglas Lim, Jonathan Atherton, Kuah Jenhan, Kumar, Fakkah Fuzz, Joanne Kam, Papi Zak, Mark Lee and Gurmit Singh.